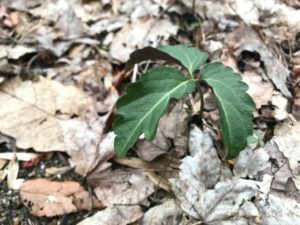 Wild greens popping up in the forest and fields are among the first heralds of springtime. One of our favorite things to do with these mineral-rich plants is to make herbal-infused vinegar. It’s easy to do and offers lots of health benefits. What’s more, it’s a tasty way to preserve the freshness of early spring. A selection of vinegars. On the left is homemade apple cider vinegar. You’re probably familiar with vinegar and likely have some in your kitchen. But did you know that vinegar is one of the oldest condiments and that it’s been used in food (and herb) preservation since at least 5000 BC? In fact, this makes perfect sense, since vinegar can naturally occur when any sugar-containing liquid is left to ferment long enough in the presence of air. You may have inadvertently made vinegar yourself when that half-finished bottle of wine got left out with its cork off. Vinegar’s acidity comes from the bacteria that break down sugars in the fermentation process. Basically, they consume sugar and release lactic and other acids in the process. Acidity is also what preserves vinegar – even at room temperature – and what makes it so great for infusing with herbs. Vinegar has been used in folk remedies for thousands of years. This is probably because it’s so easy to make and store – and because of its use as a solvent for the medicinal properties of plants (as in our herbal-infused vinegar). Current scientific evidence shows that consuming a few tablespoons of apple cider vinegar in warm water with food may reduce post-meal blood sugar and insulin levels. Additionally, vinegar in warm water before or during meals can help stimulate digestion and reduce heartburn and other digestive discomforts. The health benefits of herbal-infused vinegars depend on the herbs used and can include mineral supplementation, immune stimulation, warming of the body, and more. Wild herbs, ready to infuse into vinegar to preserve their medicinal compounds. Note: Some of the links below are part of an Amazon Affiliate program. When you click them, we benefit (at no cost to you). If you want to find these items locally, more power to you! If you’re going to buy them online, clicking-through here helps us continue offering free information and resources to everyone. 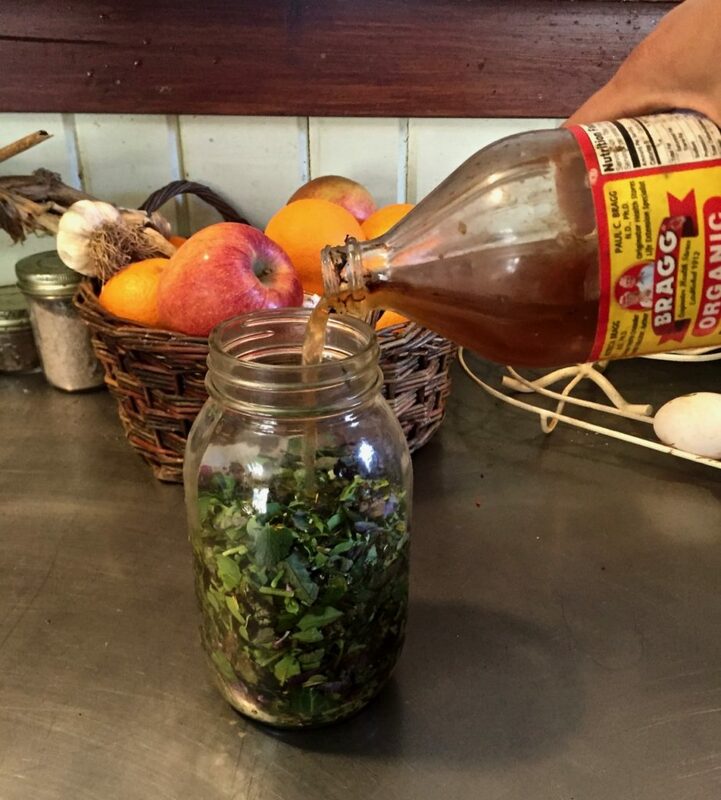 Making your own herbal-infused vinegar is quite simple. All you need to do is chop up some herbs (fresh or dried), put them into a jar, cover them with vinegar, tighten the lid, let it all macerate (steep), strain out the herbs – and voilà! But we’ll give you a few more details, too. 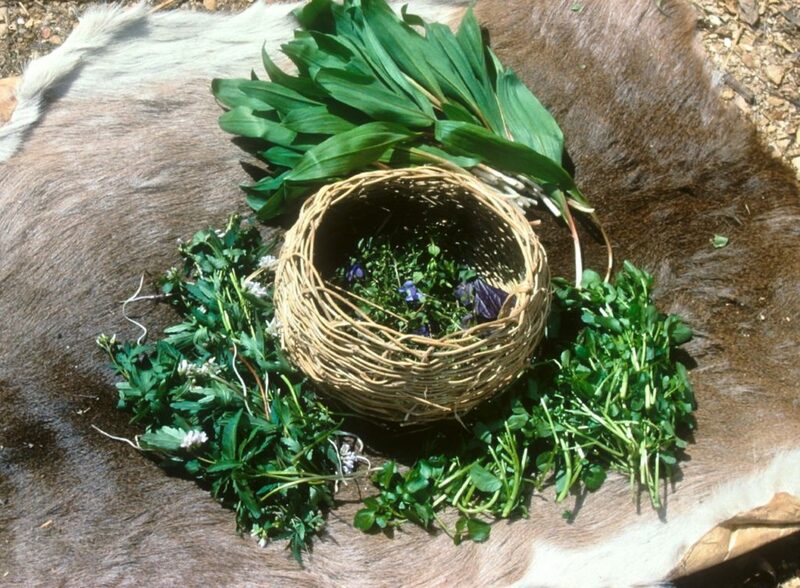 We’ve also got opportunities for you to learn from seasoned medicine makers in our herbalist class. You’ll need a glass jar with a tight-fitting plastic lid. If all you have is a metal lid for your jar, don’t worry. Simply cut a piece of wax paper or plastic wrap to fit between the lid and the glass so that the metal and vinegar don’t come in contact with one another. Choose a jar that is appropriately sized so your infusing vinegar fills it without too much air space. We like amber-colored mason jars for medicine making because they block out light, but clear glass is fine, too. Food-grade plastic lids are helpful. Additionally, you’ll need your herbs (see below for some ideas) and your vinegar. Twice as much vinegar as herbs, by volume, is a good ratio. Apple cider vinegar is what we use, but any food-grade vinegar of at least 4.5% acidity will work. When you cut herbs into small pieces, more of their surface area is exposed to the solvent (in this case, vinegar). This means more of the minerals and medicinal compounds in those herbs will get infused. Add the chopped herbs to your jar without tamping them down. You can either measure twice as much (by volume) vinegar as herbs you used, or just go by the “folk method” of herbalism and simply use enough vinegar to cover the herbs. Set the jar away from direct light. Shake the jar gently from time to time to encourage infusion. Use a wire mesh strainer, cheesecloth, or jelly bag (whatever is fine enough to catch the herb particles or whatever you’ve got around). It’s best to keep herbal infused-vinegar in a cool, dark place. Since vinegar is a natural preservative, it can be stored in a bottle with a tight-fitting lid indefinitely. The potency of the herbs will decline slightly after several months. Over time, raw vinegar may develop a slimy mass called a “mother of vinegar.” This is completely harmless. In fact, you can use it to make your own vinegar out of fresh apple cider. Depending on the herbs (and vinegar) you’ve infused, there are many different uses for herbal-infused vinegar. For example, apple cider vinegar infused with mineral-rich herbs like nettles, alfalfa, dandelion, and cleavers can be taken as a mineral supplement tonic and as a digestive tonic. White vinegar infused with antimicrobial herbs like thyme and/or eucalyptus makes a great household cleaner. When you use warming and immune-stimulating herbs like garlic and ginger, your herbal-infused vinegar will be a great immune-system booster. Finally, when you choose yummy and aromatic herbs – like garlic, rosemary, parsley, sage and black pepper – your finished product will be a delicious addition to sauces and dressings, along with providing the minerals and medicinal properties of those herbs. 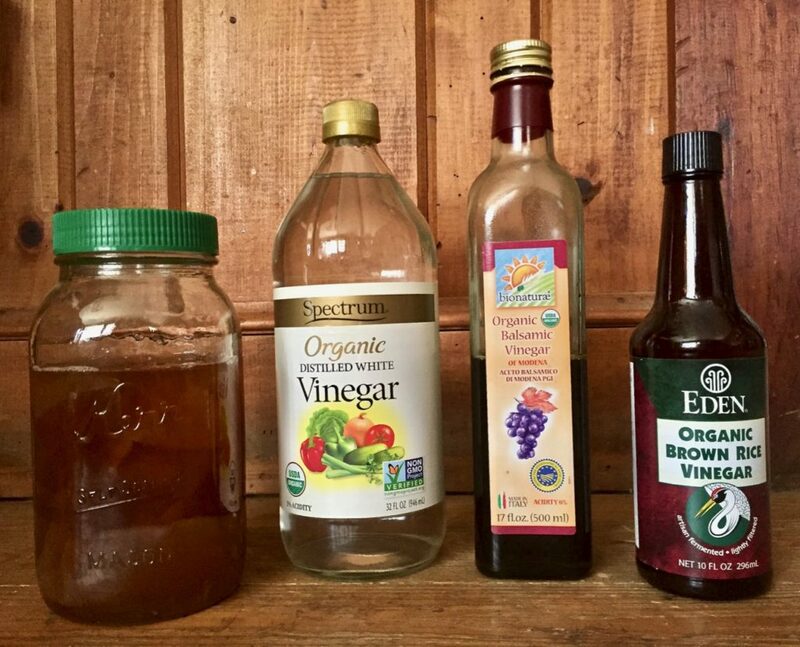 using herbal-infused vinegar as a natural cleaner. Many tasty treats and remedies can be made from herbal-infused vinegars. Some examples are oxymels and shrubs, which are different kinds of vinegar-based beverages also made with a sweetener. In our herbal medicine making class, you’ll learn how to make and use oxymels, along with many other kinds of herbal home remedies. Toothwort is one of the first spring greens to pop up. It’s bitter and pungent, like an extra-strong mustard. Optional: Clean, baked eggshell for added calcium. Be sure to bake the eggshell before using it so that you kill any latent bacteria (250 degrees F, for about 20 minutes, or until brittle). Vinegars with added eggshell tend to bubble a bit. So, if you use eggshells, place your jar in a baking dish or plastic container to catch any liquid that may bubble out, and leave your lid a bit loose to allow the pressure to release. Enjoy 1-2 Tbsp in 1 cup of warm water upon rising and/or before meals. 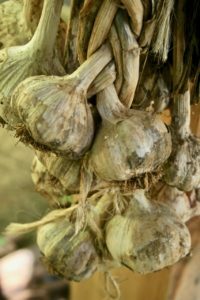 Homegrown garlic adds a spicy and immune-boosting kick to this herbal-infused vinegar. Take 1 Tbsp in the morning during cold and flu seasons or if you feel under the weather. Can be mixed in a small cup of warm water if it’s too strong on its own. 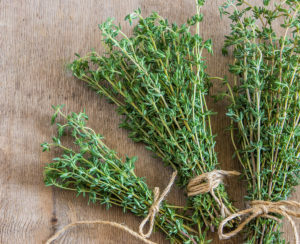 Thyme is strongly anti-microbial. Photo credit: Kitchen Gardens. Less expensive white vinegar is usually what we use for this household cleaner. 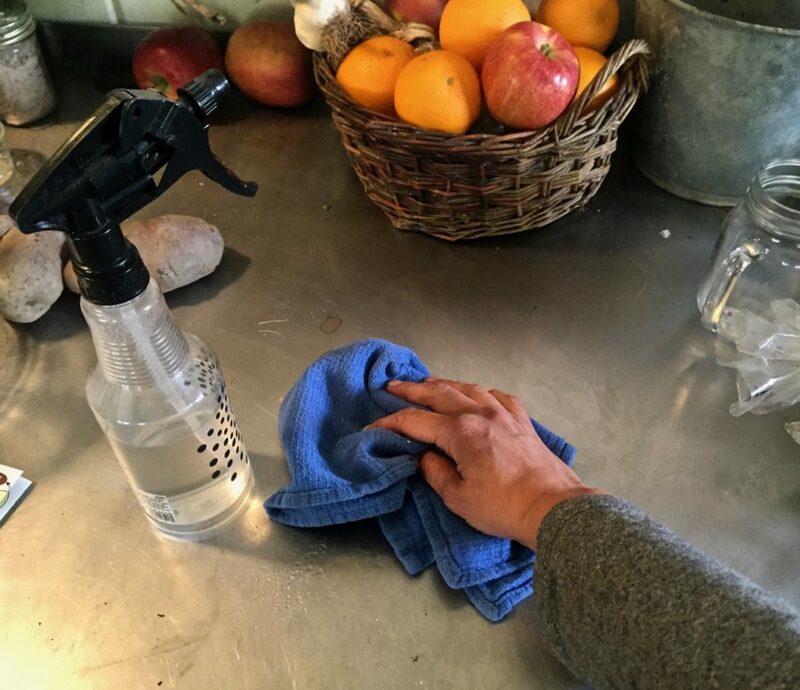 When it’s done, simply mix it 50/50 with water and put into a spray bottle for all your natural, non-toxic cleaning needs.